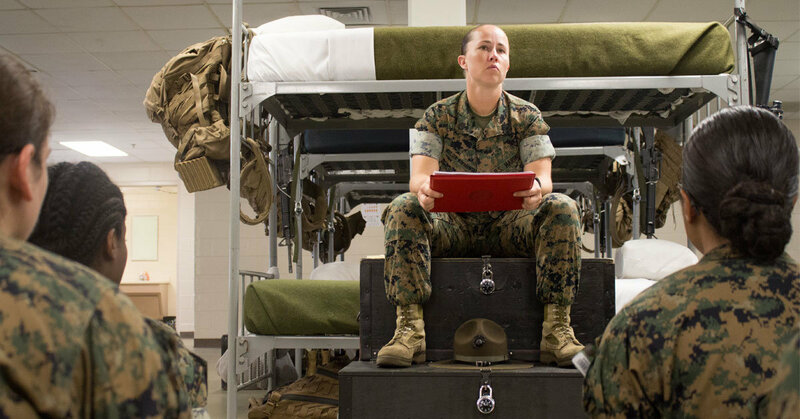 If you’ve learned everything you know about Marine Corps boot camp from watching films like Full Metal Jacket or Jarhead, then you’ve got a skewed idea of what goes down. In fact, before we even hop into the list of misconceptions, let’s squash one here and now: your senior drill instructor does not train you the whole time. If anything, he or she is more like a ghost, only appearing when it’s time to pass out mail or if your platoon really messes up. Sincerely, one of the biggest challenges you’ll face as a boot is telling people tales of your training. Why? 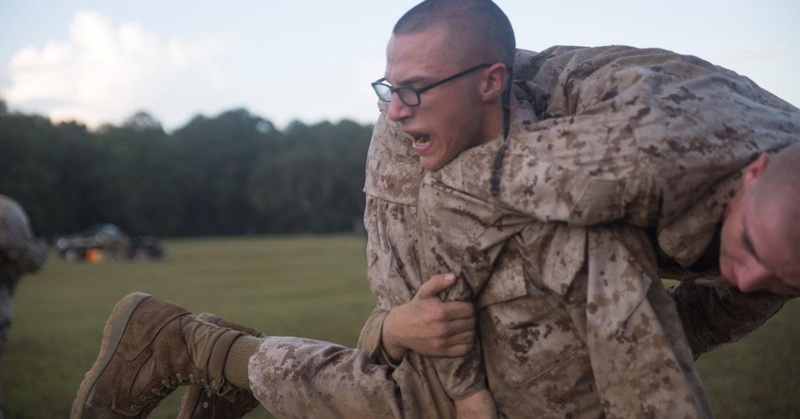 If you’re telling someone who hasn’t experienced boot camp for themselves, you’ll have to constantly stop and break down all of their existing misconceptions. If you’re telling someone who has gone through it, then they don’t want to hear a bunch of crap they’ve already heard from every boot before you. 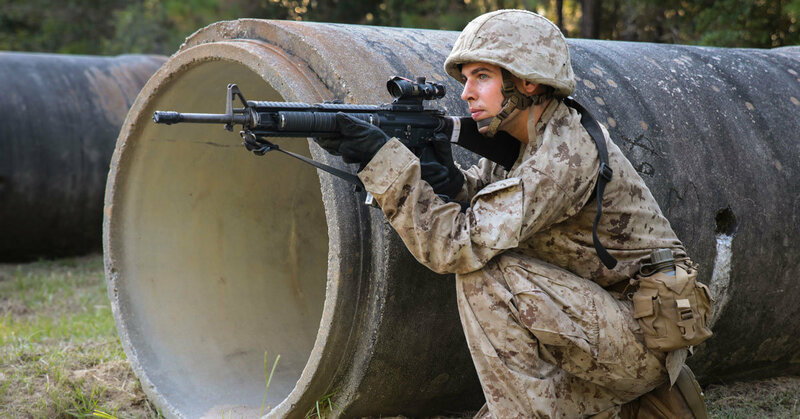 Drill instructors have a role during your basic rifle training, but you get most of your training from a primary marksmanship instructor. Being a PMI is the only other way to be able to wear a campaign hat, the infamous “Smokey Bear” as some refer to it. Your drill instructor takes you to class and you’re trained by someone with a more even temper. They’re usually pretty cool. Just don’t piss them off. This one’s easy — you don’t. Not extensively, anyways. Not to a degree where you could be dropped off on a battlefield the day of graduation and expect to survive, at least. You do learn tactics at combat training, however. There’s a lot of physical training done during Marine boot camp, like, a lot. But it’s not the only thing you do. If you’re a total sh*t bag and no one likes you, yeah, that’s all you’ll do because you’re going to live in the freaking sand pit. Generally, though, PT only accounts for a portion of your day. At first, yeah. 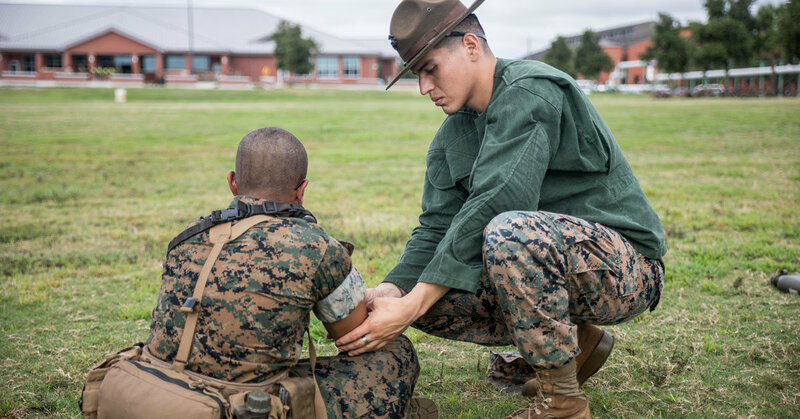 Every time you see a Marine in a campaign cover it sends a chill down your spine and you die a little bit on the inside, but after a while, your drill instructors will treat you just a little bit better. You may even have some cool sit-downs where one lectures about their personal experiences as a teaching tool. But, if you take that kindness for weakness — you’ll pay. Don’t piss them off when you get these moments. While some believe it’s the most difficult of all the branches, that’s irrelevant. 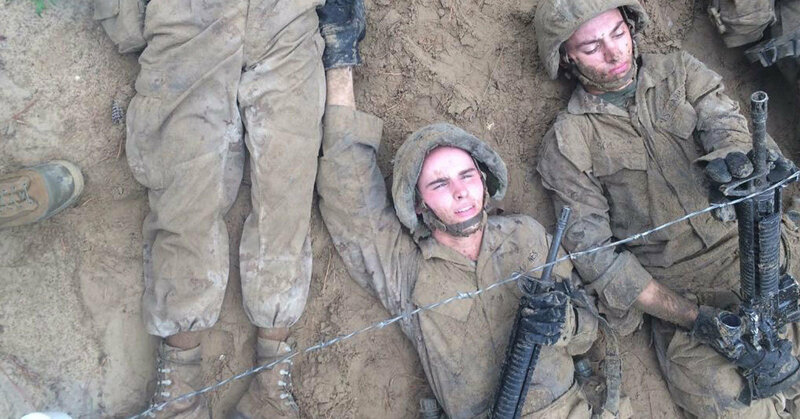 The truth is that Marine Corps boot camp — or any other basic training — isn’t as hard as you’ll make it out to be in your mind. If you can adapt, you can survive. That’s essentially what you learn in boot camp because that’s what it means to be a Marine. It’s not all about crawling under barbed wire.